It may be hard to accept but Christmas is just around the corner. Before you get all Christmas crazy, enjoy a fun half hour with the kids making this reindeer wrapping paper. Roll out the Kraft paper over your kitchen table or other flat surface and secure at the corners with sticky tape. To make sure the tape doesn't tear your wrapping paper, first stick it to the back of you hand and then use it to stick the paper to the table. Put a dollop of paint on a plate. 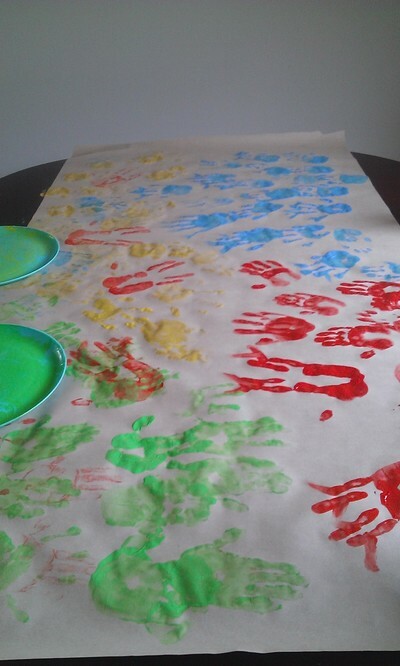 Have each child work with only one colour at a time to avoid a muddy-coloured mess. 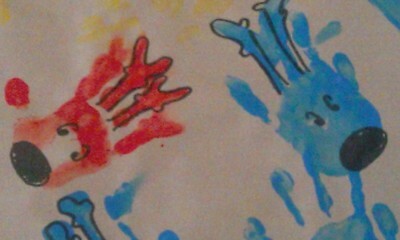 Children press their hands into the paint and then press onto the paper carefully to leave a clear handprint. 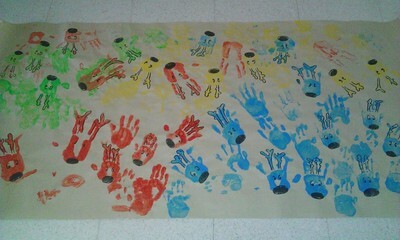 The fingers will be the reindeer's antlers. When the paper is covered, leave the paint to dry. When the paint is dry, use a black marker to draw in the nose and eyes and to highlight any features like the antlers. The handprints wont match up exactly with where or how you might want the antlers to be - don't worry, squint a bit and get creative. 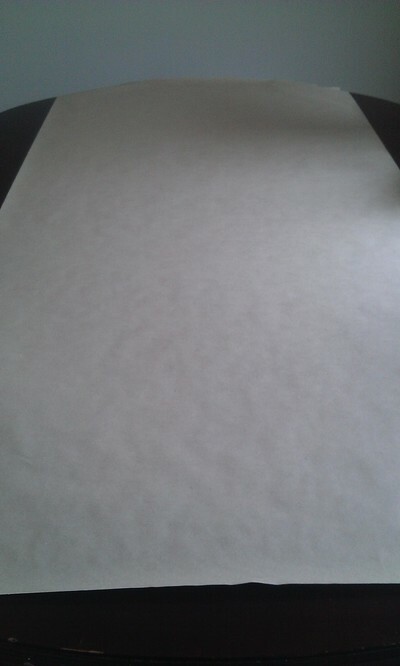 Cut the large sheet into useable sizes and enjoy the using paper made with lots of love and fun!